remove CD changer and install storage compartment? Considering the horrible fittment of the one in the pic, I'm guessing its just a deck install kit din. Get the measurements and hit up your local best buy or speaker store they should be able to help you out. Hey xplosive I see your from Van city... we have amg meets time to time, you should come out. In fact, we are probably headed to mission raceway soon, you should bring your beast! Congrats on the car! what colour you end up getting? I was under the impression that the little door didn't work if the changer wasn't installed. do you guys think #27 in this picture is that i'm looking for?? Looks like both 27 and 28 to get rid of the poor fit in the picture. well 28 is an actual trim piece that would be on the outside if the switches weren't there... you have to order it in wood... i think its meant for cars without comand? thank you. is that #27 in the diagram or the same tray as in the first picture? Word, Let me know how it works out. Also fair warning ive never used that website, but it has the Part number you need. Might take out my CDC and bypass it if there is a good fit/finish. Keep up posted. Did you get your storage compartment installed? I removed the cd changer but the COMAND unit doesn't work without it plugged in. Did you have this problem or is there some work-around? Last edited by timeToy; 04-14-2012 at 04:49 PM. I too want to change out my CD changer for a storage compartment, but I have a few questions. I swapped out my NTG head unit for an Android unit, so am bypassing fiber optics in the car. Would I still need a fiber optic closeout in order for the CD changer panel to operate? If I remove the CD changer and just keep the panel, is there an empty compartment already there or do I need to buy a separate part and insert it in the empty space where the CD changer was? Kind of a shot in the dark, but thanks in advance! Enfigcarstereo.com I ordered the SRWH-W211, PNP-PIO0237, SWCL-PIO, AA-VWAUD3, and EXT-FAKRA-17ft to allow my Pioneer nex-4200 to work with the factory amp in my E55. I removed my cd changer and installed a pocket in its place. 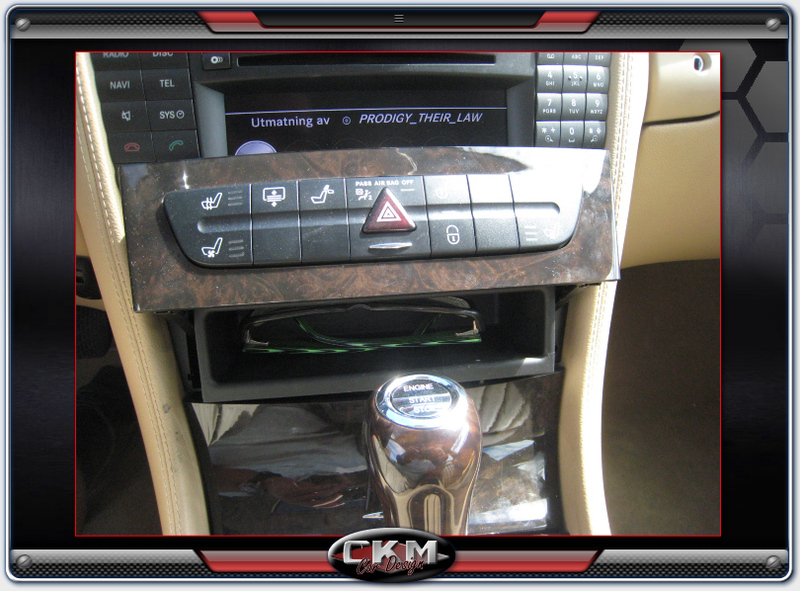 There CANBUS/steering wheel controller will let the CD changer door work w/o the CD changer and w/o the OEM command deck. It also retains correct steering wheel functions for the radio (states “Audio” in dash, song up/down (hold for scan), volume up/down, and phone answer/hang up (hang up call reject) and volume. New member - Bought '06 E55! Quick Reply: remove CD changer and install storage compartment?